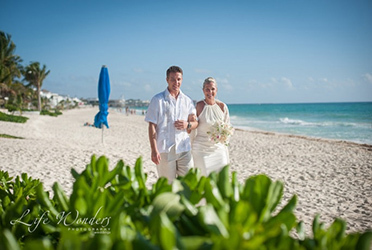 A Playa del Carmen wedding is a majestic way to start married life. 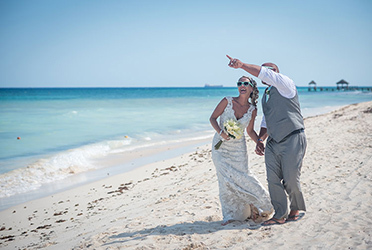 However, beach weddings can be tough on your makeup but you want to look marvelous on your big day so the photographs capture you looking your best. Every bride deserves to look her best on her wedding day and in the wedding snap shots. 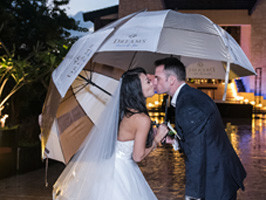 However, a beach wedding requires slightly different makeup tricks to ensure that the makeup does not run and the bright natural light does not reveal makeup lines, but instead lights up your eyes, making them appear larger and revealing your happiness. Whether you are planning a Cancun wedding or one at some other Mexican beach, you need to use sun protection, waterproof mascara, and lighter makeup. 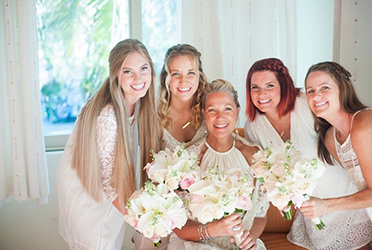 Since applying makeup for a beach wedding in a tropical climate requires special skills, a bride should consider retaining the services of a professional makeup artist. 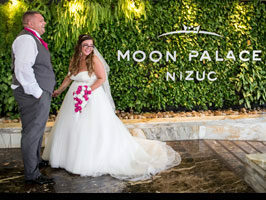 The extra expense will be worth it as you will look your finest on your big day and the wedding photographer will be able to do justice in capturing your emotions and joy. 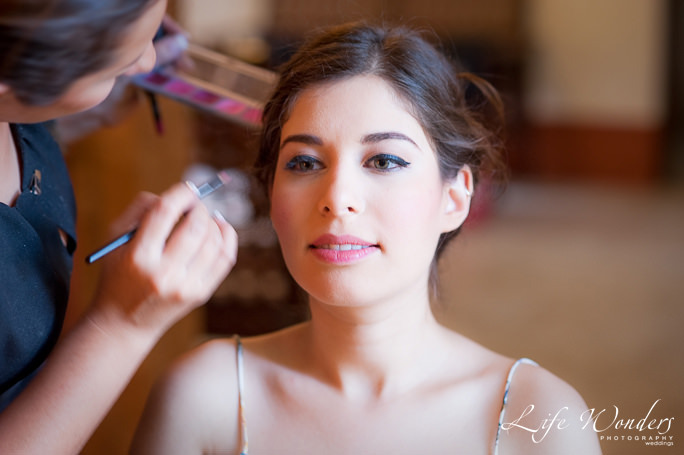 When applying makeup for a beach wedding it is better to use light layers rather than the heavy pancake layers that used to be the norm. Modern makeup comes in light textures from foundation to mascara and eye shadow. 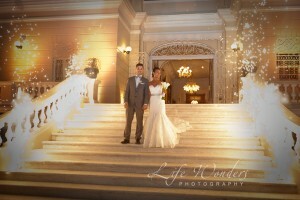 These will look better when your wedding is being captured using digital cameras. Begin with a moisturizer for your skin and then apply sunscreen with at least an SPF of 30. This will help prevent your skin from turning pink in the sun. Next apply a light foundation that matches your jaw line and neck, not the back of your hand. Apply the foundation with a clean brush and blend in using your fingers. Make sure to apply the foundation to the corner of your eyes where the skin is usually darker. Lightening this area will make your eyes look larger. 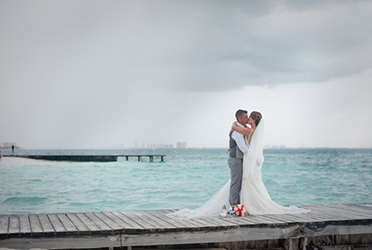 A beach wedding will create shine. Carry blotting papers or powdered blotting papers that will help you blot away the shine without smudging the makeup. Also carry lip gloss and blush to lightly touch up your makeup as needed. Apply powder blush that will withstand the heat and top it up with a light dusting of bronze on your cheekbones. This is where the sunlight will naturally fall, and the bronze will help define your face for the camera. 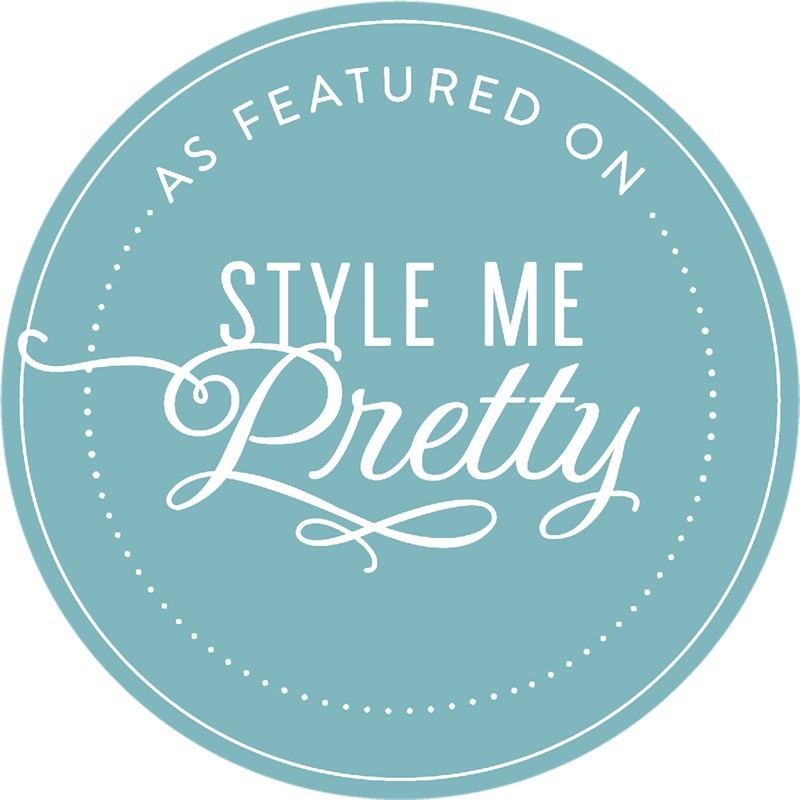 Use light mascara for day time weddings and a smoky one for the night or evening reception. Make sure that the mascara is water proof to avoid smudging by tears or spray. Apply lip gloss last since this will enable you to eat, talk, and kiss without having to worry about smudging it. Choose a light color lipstick and highlight it with gloss just a touch at the center of the bottom lip, for a subtle shine. 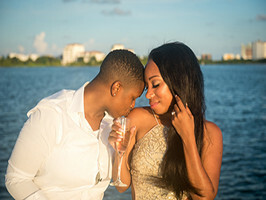 If you master and pay attention to these eight wedding photo tips, you will look as glorious as ever on that special day. 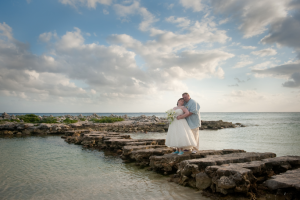 Beach wedding photography needs more than just photography knowledge and experience. The photographer also needs to understand the make-up and skin requirements that will yield fantastic results. 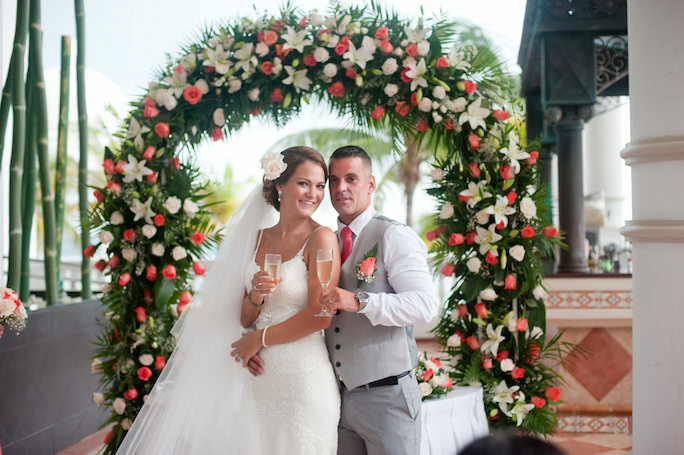 If you are in search of destination wedding photographer who fits this bill perfectly, your search ends with Dorota Jamal.